The Design Team at C.R.A.F.T. are thinking of Spring and Easter on the official first day of Spring. To celebrate the end of Winter we are looking for a Spring/Easter card. I used an adorable Easter basket called, LizzyLove IMG35 by Odd Ball Art Co. I love digital stamps because you can make the image any size you want. I made two A2 cards to demonstrate this. I coloured the images with Copic markers. I used various papers from my stash and some dies – bunnies, sentiments, and frame to complete my design. Please support our wonderful sponsors who graciously provide us with our weekly/monthly prizes! Category: C.R.A.F.T. Challenge Design Team, Cards, Easter / Tags: Copics, Oddball Art Co. This week the challenge is open – Anything Goes! I decided to get a start on my Easter cards. I choose a cute digital grouping from Bugaboo Stamps, called “Bunny Block Trio“. I coloured them with my Copic markers and placed arranged them on some papers from my stash. 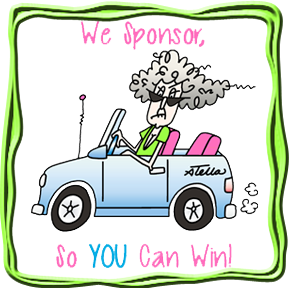 Please support our sponsors who generously provide our weekly, monthly prizes! To see the digi I used plus hundreds of others, click the Bugaboo Ad below! After the strange winter we just had, I am looking forward to Spring, tulips and Easter, For today’s card I went for simplicity. I die cut 3 bunnies using a Memory Box die and three coloured papers. I also cut out two strips of grass using dies from MFT. The sentiment is by Avery Elle. I assembled the card, and for the final touch I added pom pom tails. Please support our wonderful supports who provide our fabulous prizes. This week’s challenge gets you ready for Spring/Easter. I chose a fun sheep digi stamp by Bugaboo called, “Happy Easter to ewe“. Bugaboo has a hold series with this adorable sheep and friends. I coloured the image with Copic markers, layered it on the card stock from my stash and added a computer generated sentiment. Please join us, and please support our sponsors! Our first challenge of 2016 is a recipe challenge. I used an adorable digi stamp by our sponsor, Rick St Dennis MFA, called Euro Kids Bunnies. I coloured them using my Spectrum Noir pens, layered the image with white, pink and aqua papers, added a orange ribbon and 2 paper roses from my stash. As a part of the CRAFT Design Team, I would like to thank Rick St Dennis MFA for his sponsorship, and great prizes he has proved. 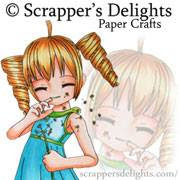 Please support his business and check out the great variety of Digi Stamps in his online store.